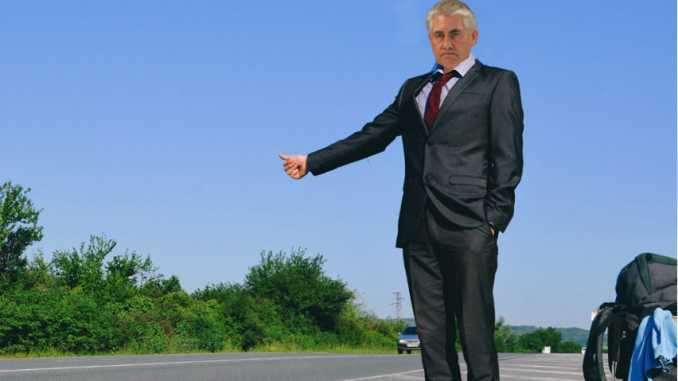 Tillerson Hitchhiking to Save Money. (Washington D.C.) Unconfirmed Sources reports that Secretary of State Rex Tillerson has been spotted hitchhiking home from his latest trip overseas. Due to budget cuts at the State Department, Tillerson could only fly to Los Angelas before running out of money. The Secretary decided to hitch back to Washington to report on the progress of his Asia trip. Pitchfield said that he and the Secretary spent many hours talking about the difficulties of starting a new job and working for a difficult boss. Tillerson fretted about budget cuts and openly wondered if he would be able to keep his job. State Department budget cuts are causing much belt-tightening in Washington and posts overseas. On one occasion during the latest trip, Tillerson and his staff decided to stay in the hotel, rather than go out to dinner with leaders of South Korea. The sub caused a bit of confusion as each party told a different story surrounding the events. 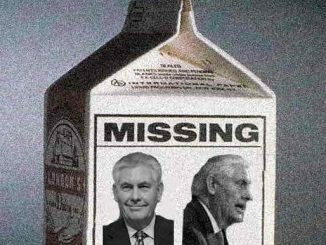 There is still no sign of Tillerson at the State Department, but if gets a few more good rides he will be back ina few days.